First, headphones are a very personal item. What sounds good to one person may sound like junk to another. Actually listening to them before you purchase, if possible, is always my first piece of advice. Second, the items I talk about here are for recording purposes, not listening. That means first of all, they are highly isolating. Very little sound will leak out of these, even at loud volumes. That usually means “tight.” As in head-in-a-vice tight, if the cans aren’t a good match for you. It may also mean heavier than you are used to because of the larger drivers these “cans” (studio term for headphones) use. Finally, these recommendations are for phones that have a very flat frequency response and impart minimal coloration on the sound. In other words, you will hear what is there; exactly what is there. They are not intended to be bass-thumping mud packs like much of what you see in the Apple Store. That can be a shock to someone who is used to consumer or even audiophile headphones. Finally, he only wanted to spend a Franklin more-or-less. So here are my preferences in that $100 price range. Note that I’m not listing actual prices. Considering how they fluctuate, sales and different vendors, it’s pointless beyond noting they are all around $200. If you’re my age, you may well remember the classic Koss Pro4AA. Big. Ugly. So heavy they had an attachment for a mic stand. Nevertheless, they had amazing sound. They still make the originals, but this version is a lighter (though still heavier than most) and less garish version. I will note that these are the cans I use, personally. They have a 10Hz-25KHz frequency response which goes well outside what my 50+ year old ears can hear. They are extremely flat and uncolored in their response, which means that you get a very exact image of the sound. They also have some of the best isolation I’ve found in a pair of headphones. These headphones will take as much signal you want to feed them without distortion. You will either push the source into distortion or blow out your ears before these cans distort. My wife uses these to pick out both the first and second bassoon parts from a full orchestra when she’s studying a symphony. Very few headphones can do that. Finally, Koss has a lifetime warranty on them. You only pay shipping to them (something like $6 from what I hear). As with all things, these benefits come at a price. The most obvious will be that these are both heavy and tight. Tight, as I implied earlier, will describe all of my choices. These aren’t the tightest, but they are the heaviest coming in at 21 oz. (yes, that’s almost 1-1/2 pounds). I’ve got a strong neck and shoulders, so this doesn’t bother me even for extended periods, but your mileage may vary. There is one other potential “gotcha” to keep in mind for the Pro4AAT. They get their amazing clarity and distortion resistance from having a 250 Ohm impedance. That means it takes a lot of signal to drive them. On my mixers or my pro-audio interfaces they’re great. On my higher-end Pioneer receiver, no problem. Portable players? iPods/iPads? Nope. They simply do not have the output to drive these phones well except for quiet listening. Of course, I never do critical listening off those types of devices, so that is not an issue for me. 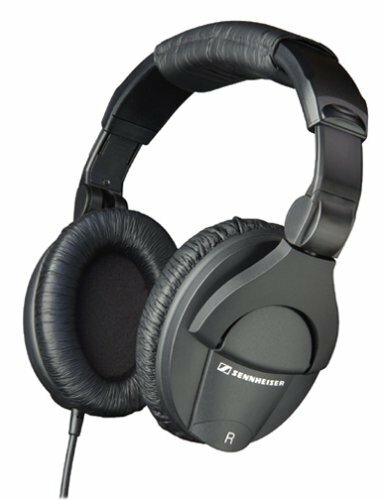 These are probably one of the more popular monitor headphones in the recording business and for good reason. Like the Koss, they have excellent isolation and a flat response, so you can hear what is really there. 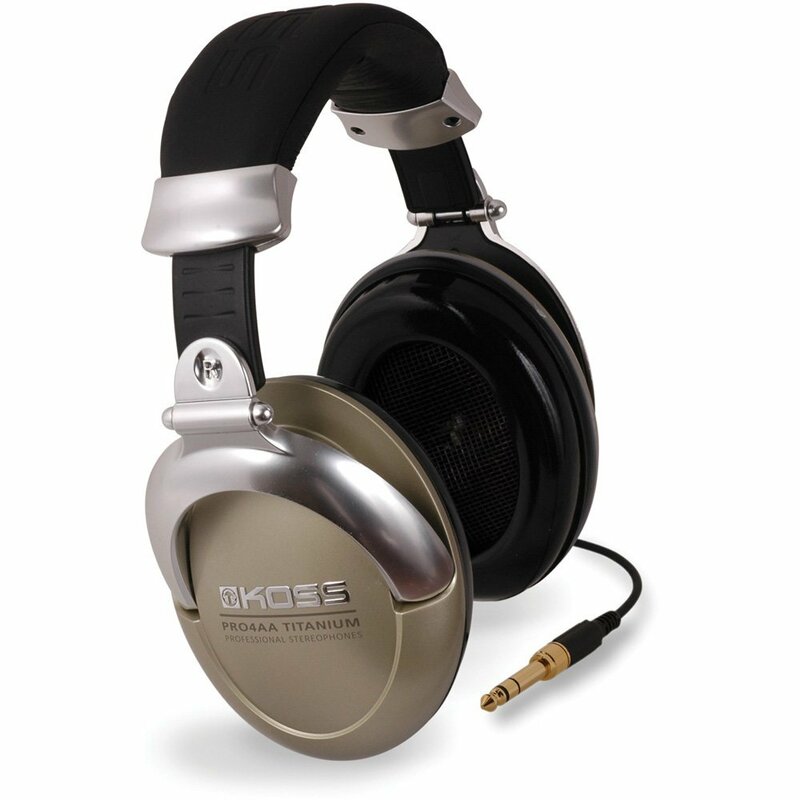 Their frequency response is 8Hz-25KHz, essentially the same as the Koss. As for the fit, I personally found them rather tighter than the Koss, but on the plus side they are only around 8 oz in weight, making them the lightest of the bunch. These headphones have a 65 Ohm impedance which means they will work well on your professional gear and also perform acceptably, though perhaps still a bit weak, on your portable devices. The warranty on these is two years, though I doubt you will ever need it. Their sound is detailed, but in my opinion was noticeably, but not significantly, less so and thinner than the Pro4AAT’s. There is a 300 Ohm version of these that may give more “oomph” to the sound like the Koss, but I haven’t heard them. These are hands-down the best monitor class headphone in this price range. Those who are familiar with these cans are going to be quick to ask, “What do you mean? These cost $150!” Well, the straight cable version (which I would prefer) can be found as of this writing on Amazon for $130. These are in the 10 oz range, so the weight is not bad at all. As with all the others, they are quite snug and do very well in regard to leakage and isolation. They have the richest sound of any one this list but do not sacrifice accuracy or unduly color the sound. They have 45mm drivers, a bit larger than the others, yet they have a 15Hz-25Khz frequency response, which was a surprise since typically a larger driver means a lower response. While the low technically isn’t as good as the others, you really are not losing anything noticeable considering most people cannot hear below 20Hz, and at my age even that is a joke. The overall quality of the sound makes up for any imagined loss. You have all the detail you could ask for in critical listening and if your mixing involves music, these are easily the most musical in their response. They can handle a very hefty 1600mW of power; important considering the low 38 Ohm impedance. The good news is that means they will work fine on your iPad. The bad news is you definitely want to make sure your level is down when you plug them into your mixer. The only real negative I can give these is the price. If you’re looking for something just for podcasting or voiceover work, even the $130 price of the straight cord version may be more than you want to spend. If/When I replace my Pro4AAT’s it will be with a pair of these. To get better you would have to spend between 3 and 10 times the money on a pair of Ultrasones. I would be raked over the coals if I did not at least include this headphone in my comments. 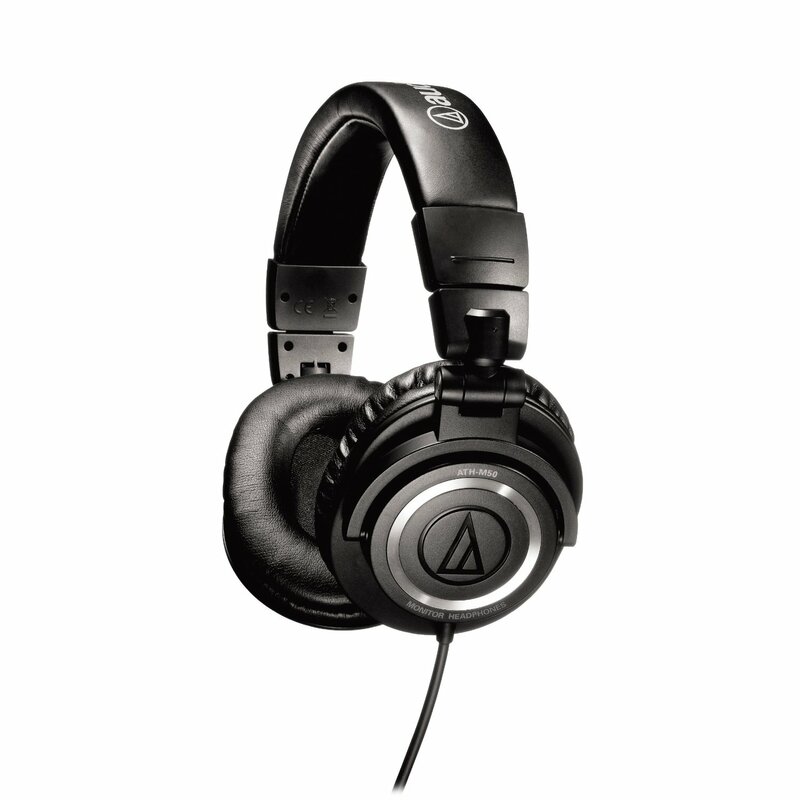 Even more than the Sennheiser, this is probably one of the most common headphones found in the professional world. 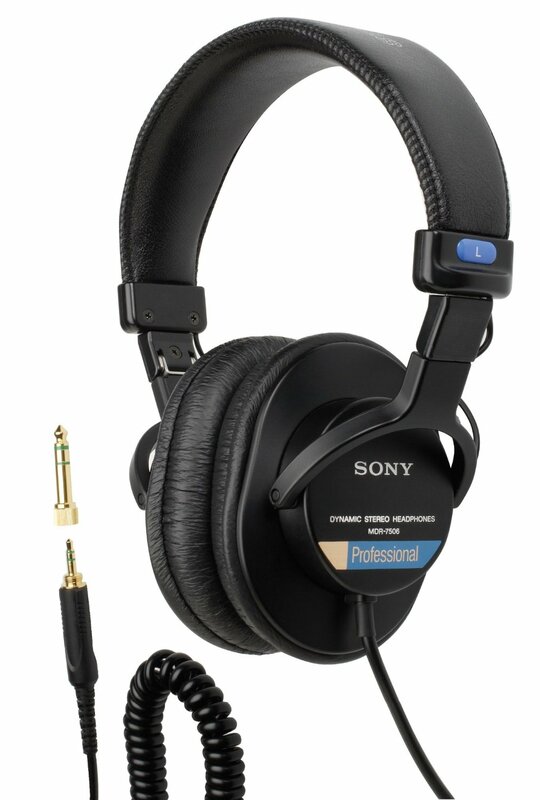 These headphones have a 10Hz-20KHz frequency response and have a 63 Ohm impedance. They weigh 8 oz, very light and as always have a snug fit. If this is sounding a lot like the Sennies, that because they are. While there are many who swear by these, they are my least favorite in this lineup. While I have no problem with leakage, I didn’t find them to have the degree of isolation as the others. Of course, many would find this a good thing. I also – and I must emphasize that this is personal opinion – that they didn’t have the high end of the HD-280 or the full range of the Pro4AAT. That said, they will still get the job done and done well. If your main goal is podcasting, voiceover or broadcast they will do what you want. I will put it this way… These may be my “least” favorite of this list, but I would take them over anything by Beats, Skull Candy or Bose without hesitation. First, remember that I am talking about studio/monitoring headphones. These may not be quite as musical in their response as you typical listening headphone. Any of these would be good but I cannot emphasize enough that you listen to them and compare them in advance using audio tracks with which you are familiar. Remember that the gear you use will also make a difference in your headphone preference. The output, impedance and frequency response of the headphone amp will play a big part in what you hear in the phones. Also keep in mind that when it comes to actually mixing, these should really be your last option. On voiceover, podcasting or broadcast, a good headphone is an obviously essential tool. For a live gig, though, your ears on the live sound should be your first choice, falling back to the headphones only when you need to isolate a channel or listen to the sound within the system. For doing a studio mixdown, any headphone is your last choice. You need to hear the mix through open air monitors. Feel free to ask any questions and if you have a favorite, mention it in the comments.